Janou is a PhD student at the University of Exeter, under the supervision of Dr Katie Lunnon (University of Exeter), Dr Daniel van den Hove (Maastricht University, the Netherlands), and Dr Liz Coulthard (University of Bristol). Prior to starting a PhD at Exeter, she obtained a BSc in Psychology and completed a two-year MSc in Fundamental Neuroscience at Maastricht University, where she had a particular interest in the epigenetics of Alzheimer’s disease. 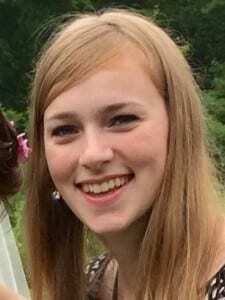 Her PhD project, for which she was granted a GW4 BioMed MRC DTP studentship, focuses on identifying novel blood biomarkers of Alzheimer’s disease. During her PhD she will integrate genome-wide genetic, epigenetic and gene expression measures in blood from Alzheimer’s disease patients with detailed clinical, epidemiological and neuroimaging data with the aim to identify unique biomarkers for Alzheimer’s disease.